Nifty Loans is a loan company that operates 100% online. We are here and ready to provide loans to Australians who need a financial pick-me-up. If you’re nodding your head, then welcome! we’re glad you have found Nifty Loans. We are an Australian short-term loan lender that is committed to working with you to get the right loan – every time. What’s the Nifty loans difference? Well for starters we are 100% online. So, our application form can be completed 24 hours a day, 7 days a week and all from the comfort of your living room or office! We offer loans between $300 to $5,000 and give you the flexibility of repayment periods ranging from 3 to 24 months. Furthermore, we are leaders in friendly customer service. Here at Nifty Loans, we won’t treat you like a number or a liability. The finance industry has a tendency to count people as numbers, statistics, and dollars. At Nifty Loans we put real faces on our loans, we are human too, we understand that sometimes you need a financial pick-me-up. Whether you’re employed or get your income from Centrelink we can look after you. In most cases, we are more lenient than traditional lenders, whilst also adhering to responsible lending practices. Of course, a personal loan can essentially be used for any purpose, however, we do request you state your reason for your loan. We have a duty of care to our clients to make sure that our products are suitable for them. If you have any questions about why we need the info we need, you’re welcome to contact us at any time. At Nifty Loans, we want to help anyone who is looking for a loan, however, unfortunately, we do have 4 little requirements you must meet before applying for a loan. Once you’ve checked off all these requirements you’re ready to apply for a Nifty loan! With all this information on hand, your application will be a breeze. Why do we ask for your bank details? You may be wondering why we ask for your bank account details, and rightly so. In an age of internet security, the priority to protect your information has never been higher. We ask for your banking details so our system, using the latest safe banking technology, can access read-only copies of your bank statements. This removes the hassle of gathering paper statements and makes the assessment process much more efficient. We do not gain access to your internet banking password/account, this information is encrypted, secured and only used to retrieve your bank statements. To begin your application, have a play with our loan calculator located at the top of most Nifty Loans web-pages. To give applicants a visual look at their loan terms, we have designed a loan calculator. Firstly, select how much you wish to borrow and for how long. Then, select whether you’d like your repayments to be weekly, fortnightly, or monthly. Happy with your loan terms? Click Apply, to be transferred straight to our application page. Furthermore, complete our quick and simple application form. So why not brew a hot cup of coffee whilst completing your application, and it will be ready once you’ve finished! After you apply, we will begin to process your application. Whilst you’re tending to your Farmville, keep a keen eye on your notifications, because we will send you a text or an email if we need extra info. We assess your application and try to provide you with an outcome within 60 minutes (during business hours)! So, catch up on your latest Netflix binge whilst our loan specialists do their thing. When assessing your applications, we adhere to responsible lending practices. We look for evidence, either in your income and previous finances, that you can afford to repay the loan. If you are approved, you will hear the good news via a text or email. To receive that all-important moolah, simply review and sign your online contract and we will transfer the money to your bank account. Depending on the speed of your bank, you should receive your payment overnight, at the latest. And that’s it! Four little steps and you have yourself a loan. We are here for all your loan enquiries!In fact, we encourage our clients to fully understand their repayments and when they’re due. We don’t hide costs at Nifty – all fees and costs associated with your loan will be included in your contract. 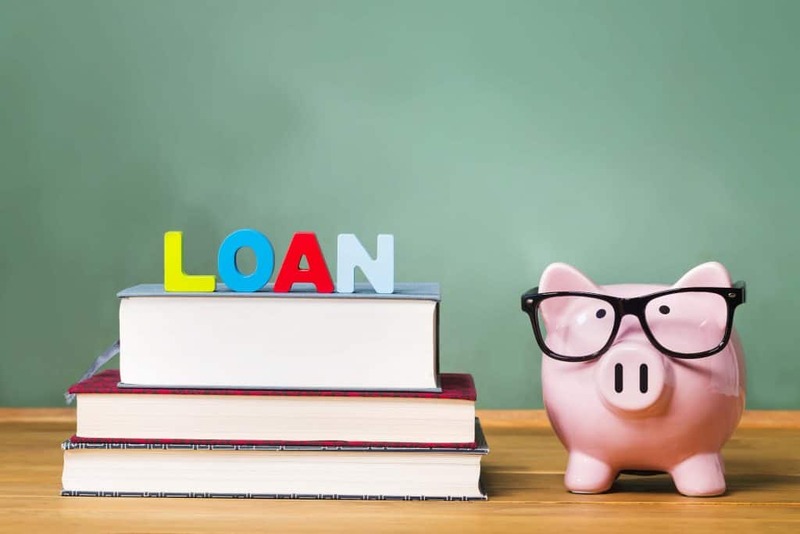 For a general idea of what a Nifty loan may cost, you find our example costs at the bottom of this page, or on our costs page. Keep in mind some loan types may have other payable fees and charges. For example, if you miss a repayment on your loan, there may be additional fees that apply. Other payable fees and costs associated with your loan will all be clearly outlined in your loan contract. If you’re still not sure about the fees and charges on your loan please don’t hesitate to contact us via our website or call on 1300 471 328. Do you have questions about your loan? At Nifty Loans, all our loan specialists are on call to handle any loan enquiry you may have. However, of course, our loan specialists have to sleep. So, if you have an enquiry outside of business hours, simply send an email and we will endeavour to return your enquiry within 2 hours of the next business day. You can call through to our team at any time during business hours and we will be happy to help you. Your customer feedback helps us improve the service we offer – so don’t hesitate to get in touch. Are you receiving Centrelink and looking for a loan? Well, you’ve come to the right place. When you are receiving Centrelink benefits, it can be difficult to find a lender willing to help. We think we’re a little more lenient than most traditional lenders. That’s why we see most Centrelink payments as regular income (as long as you’ve been receiving it for the last 3 months). Have bad credit and need loans? We may be able to help you out with a quick cash loan. We are more lenient than traditional lenders, however, we do adhere to responsible lending practices. If you suffer from poor credit, traditional lenders may reject simply based on your past finances. However, at Nifty Loans, we understand that your past finances, don’t necessarily reflect your current financial situation. We do perform credit checks, however, it’s not the only criteria we base our loan assessment on. Despite receiving a hefty income and having a healthy credit score, traditional banks bury self-employed people in paperwork just to receive a loan! If you’re tired of nagging paperwork and endless trips to the bank, consider a loan from Nifty. Our criteria for self-employed people is no different other applicants. Your self-employed income just needs to be consistently paid into a personal account. And that’s it! Unfortunately, if you are unemployed, and not receiving Centrelink benefits, we cannot approve your application for a loan. We adhere to responsible lending practices because we care about our applicants and we don’t want you to land in unmanageable debt. If you are struggling with unhealthy debt and need help, head over to MoneySmart, they offer insightful advice for escaping debt. If you’re a returning customer, don’t hesitate to apply for another loan with Nifty! We love our loyal customers, so when you apply for another loan, your application will be prioritised by our assessment team. The vision of Nifty Loans is to provide a loan service that is fast, easy and convenient for everyday users. We want to bring personal loans to the masses and offer a product that you have no reason to be afraid of! We are more lenient than traditional lenders, so if you find yourself in a pickle, you know who to call. No matter what little hiccups life has thrown at you we believe that you are important – and we want to help as best as we can. If you have unanswered questions about our service, you can head to the FAQs page and see if your answer is waiting for you. "Great no hassle !! They are awesome helped me out a lot . Better then most queensland cash lenders :) thank you .. Happy customer !!" Loan needed? $300 to $5,000. Bad credit OK! Apply 24/7 Overall rating: 4.6 out of 5 based on 232 reviews.